In parallel with the alluvial mining operations, Lucapa and its partners continue to advance a systematic kimberlite exploration program at Lulo, focusing on targets identified proximal to and/or upstream of the main alluvial mining blocks along the Cacuilo River valley. This drilling and sampling program is designed to identify the primary hard-rock source, or sources, of the exceptional alluvial diamonds being mined. 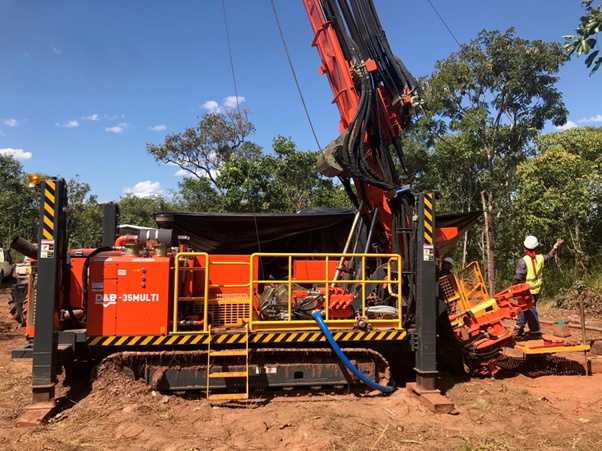 The latest drilling campaign, which involved drill-testing 95 targets proximal, was completed at the end of 2018. Of the 95 targets drilled, 71 were confirmed as kimberlites. Drill core from the confirmed kimberlites is progressively logged and exported in batches to laboratories in South Africa and Canada for mineral chemistry analysis. As at the end of 2018, mineral chemistry results had been progressively received from 32 of the 71 targets confirmed as kimberlites in the latest campaign, with the remaining mineral chemistry results pending. To date, 11 kimberlites have been highlighted for follow-up testing based on their mineral chemistry results. The Lulo partners undertook a detailed review of all kimberlite drilling and exploration results in early 2019 to direct the next phase of this systematic hard-rock exploration program.